DOCTORS REFERRING PATIENTS to emergency departments are not to blame for the current hospital crisis, according to a GP spokesperson. A group representing GPs told Morning Ireland that although there is a spike in respiratory illnesses and cases of the flu, that doctors are only referring those who need hospital care. [The decision to refer is made when] it’s unsafe for people to remain in their homes, and where optimum care is in a hospital setting. The trolley crisis [is about] patients that have been deemed ill enough to require hospital care. Hospitals are struggling with an increase in demand due to what the Health Minister Simon Harris has been calling “a perfect storm” of conditions. A lack of beds, a shortage of nurses and doctors, plus limited hospital resources at what is traditionally one of the busiest times of the year for hospitals has seen healthcare staff struggle to look after the influx of patients. The number of patients on trolleys and in wards across the country has fallen to 395 today – a dramatic fall from Tuesday’s record high figure of 612. Last night it was announced that 63 acute hospital beds will be added to a number of hospitals; 28 beds in Galway University Hospital, 15 beds in the Mater, eight beds in Kilkenny and 12 beds in Tullamore, Offaly. The HSE also urged the public, especially those over the age of 65, to get vaccinated to help ease the surge in flu cases being presented to hospitals. Sinn Féin TD Louise O’Reilly said that “there is an urgent need to reopen closed beds in our hospitals to increase capacity” as a solution to the problem. 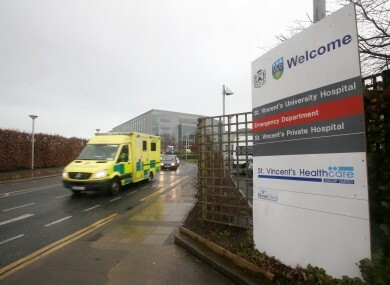 Ambulance services and other medical professionals are accusing the HSE of not preparing hospital services for the surge in demand sooner – saying that a warning before Christmas would have helped the situation. Pádraig McGarry said that local practices were also at breaking point, but that no compromise was made in their decisions to refer patients. He said that reducing capacity and services at hospitals and GP practices had led to the current crisis level of overcrowding. World Health Organisation recommends that hospitals work at a capacity of 85% in order to handle any unexpected medical emergencies. Currently Irish hospitals work at a capacity above the 90%. The latest figures from the Irish Medical Council state that there are 63.1 GPs per 100,000 population, which is below the recommended 80 GPs per 100,000. Stripping away of resources because of FEMPI cuts resulted in a decimation in being able to deliver services at a time when other [things] are being shoe-horned into those services. Email “GPs say they're not to blame for overcrowded hospitals”. Feedback on “GPs say they're not to blame for overcrowded hospitals”.